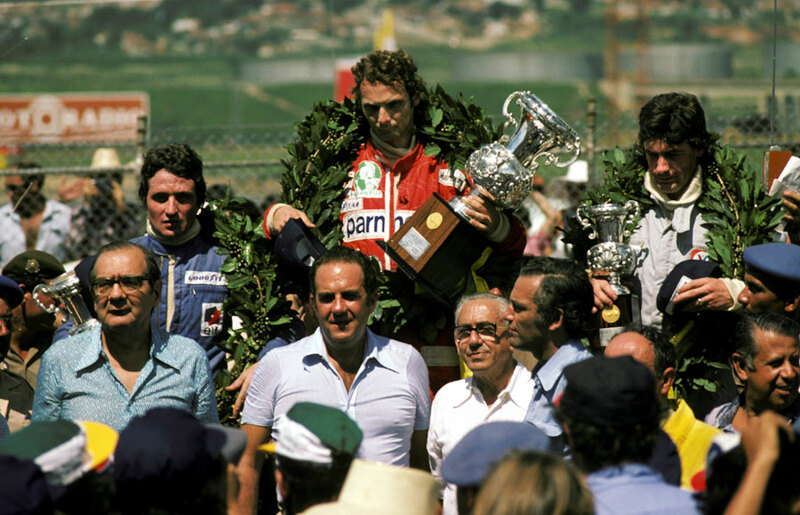 World champion Niki Lauda in a Ferrari dominated the season-opening Brazilian Grand Prix, leading home Patrick Depailler's Tyrrell by 21 seconds. Coming two months after the last race of 1975, many teams ran their old cars ahead of the European season, but there were still plenty of changes. Emerson Fittipaldi was at the centre of the news. After two years he decided to quit McLaren and join his brother's team, Copersucar. McLaren was left stranded without a No. 1 driver, but the timing was perfect. Lord Hesketh had decided to pull the plug on his very competitive team, and James Hunt was unemployed. It did not take long for him to find his way to McLaren. At Lotus, Colin Chapman designed a new car, the 77. Jacky Ickx left for Wolf-Williams, and Ronnie Peterson was joined at the first race by Mario Andretti, a Lotus driver back in 1968-69, though neither was certain to stay. Lauda looked at ease in the practice sessions but Hunt laid down a marker by securing pole, although he was beaten off the line by the Ferraris of Lauda and Clay Regazzoni. Lauda took the lead when Regazzoni had to pit with a broken wheel on the eighth lap, and although Hunt grimly clung on to second, he retired with seven of the 40 laps remaining, by which time he had slipped back to seventh. Jean-Pierre Jarier set off in pursuit of Lauda and cut his lead to a little over a second before pushing his Shadow too hard and sliding into a safety barrier after hitting oil discarded by Hunt. He was unhurt, as was John Watson whose Penske Ford was engulfed in flames as it came in for a pit stop. Tom Pryce chased home Depallier to finish third, the last time he appeared on the podium before his tragic death the following year. Fittipaldi drove superbly in a car which had never raced before, although he was plagued by electrical problems. He had a long pit delay but was still running at the finish, albeit well adrift at the back of the field. The new Lotus pairing of Peterson and Andretti got off to an unpromising start, colliding with each other.